Butterfly Ridge offering 34+ acres (sold by boundary) of Wild & Wonderful West Virginia. This large Modular home constructed in 1993 offers 3 bedrooms & 2 bathrooms with full basement. This home has possibility for even more living space. The basement offers unfinished living space with potential for more bedrooms and a bath already roughed in. 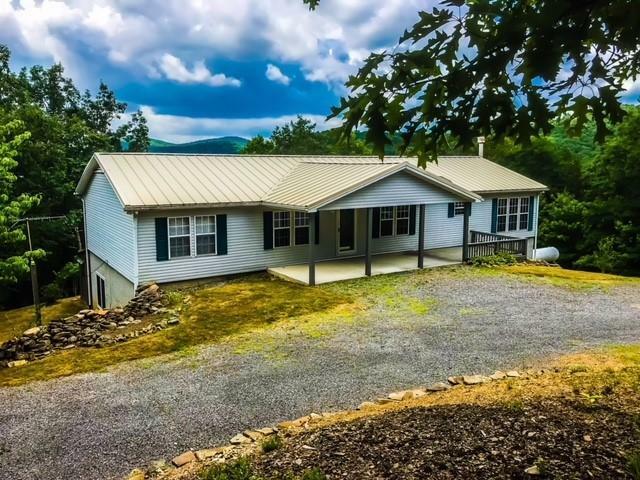 Large rear deck overlooks the mountains and covered front porch with attached open patio. Kitchen features Corian countertops & Corian kitchen sink, tile floors. Dining and family room offers fireplace with gas logs and large plank hardwood floors. Large master bedroom with walk-in closet and large double vanity bathroom. Privacy and nice long-range views surround the property with short drive to local shopping and recreational areas.